With regular debates over whether the GAA should enter professional ranks, Shane Hannon argues that things are fine the way they are. When the GAA was founded on Saturday November 1st 1884 in the billiards room of Hayes’ Hotel in Thurles, County Tipperary, no-one could have foreseen the ever-present and vital role the Association would go on to play in Irish society. The GAA was founded by men who wished to “foster a spirit of earnest nationality”, and it really is hard to ignore its political origins. Today, however, the GAA is a true global phenomenon with over one million members worldwide. It lays claim to the title of the greatest amateur sporting organisation in the world. The key word to focus on is amateur; the GAA was founded as an amateur association, and in my opinion that is the way things should stay. 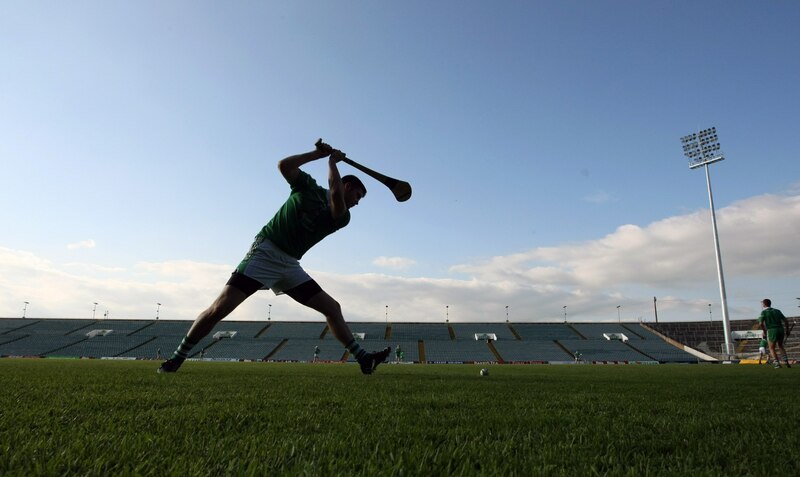 Within the past decade, the competitiveness of Gaelic games has peaked. Some would argue that the training and fitness levels and the sheer amount of time spent training would make you think it was a professional organisation, and yet no players, coaches or officials get paid. For example, when on their way to winning last year’s All-Ireland Senior Football Championship, the Dublin side often trained twice a day, including one session at 6am. It cannot be denied that counties are taking matters more seriously than ever, but this just highlights the desire to win that is prevalent within the game. Players don’t need financial gain as an incentive; the love of the game will clearly suffice. The GAA is spreading globally faster than ever, and so there is pressure being put on for it to enter the professional ranks, but the association shouldn’t buckle. In soccer, for instance, it’s indisputable that some players become greedier with every penny they get, and we can’t let that ugliness enter the psyches of GAA players. Assuming only county players would get paid if the GAA did turn professional; many club players who feel they should be playing at an inter-county level would feel hard-done by. That’s not to mention the transfer controversies that would undoubtedly arise; many top players playing with small counties would want to move to play with the bigger ones in order to follow the money trail. Strong counties would get stronger, while the weaker counties would only get weaker. In essence, the entertainment value of those sports we love dearly would disappear forever. Not only would players move to bigger counties, but many more players would likely move abroad, where GAA clubs often benefit from more funding. If the association does go down the road of professionalism, it could have abhorrent consequences for Irish society as a whole. In spite of the amateur status, it’s not as though GAA players aren’t compensated for their efforts. You’ll often find that inter-county players get paid travel expenses, and the top players regularly get advertising fees for wearing particular products or for appearing in TV commercials. They may not get paid to the extent of professional players in other sports like soccer or golf, but socially, morally and ethically the GAA is richer than all of these sports combined. GAA players get their thrill out of not only winning games, but also playing an Irish sport alongside their friends. They are supported by people from their local area. So what are the thoughts of the players themselves on the matter? In November 2010, after being accused of fighting for a ‘pay-for-play’ system, the Gaelic Players Association (GPA) announced it was in fact committed to the amateur status of the GAA. As part of a deal earlier this year, the GPA will be supporting the amateur status of the association for the next five years. This deal guarantees the GPA €1.5 million a year of the GAA’s money, with this will rising to €2 million a year from 2015. It’s evident that the GAA and the GPA are on the same wavelength, and that the players themselves fully back the decision not to go professional, so why would we even consider that prospect? The GAA released a discussion paper in January of this year on the matter of keeping the association neutral, in which they made it clear that any person who accepts payment in conjunction with the playing of Gaelic Games is liable to a 24-week suspension or even expulsion. GAA clubs and county boards can’t afford to pay managers and players at any time, let alone in the current economic climate, so why should they have to? If the GAA turned professional, it would go against the fundamental ethos of the organisation: that it functions essentially on the basis of the voluntary efforts of its members. Some players would be playing for the money rather than the love of the sport, and we cannot let that happen. Armagh’s former All-Ireland winning goalkeeper Benny Tierney once stated: “Professionalism in our association could never work and would effectively destroy our wonderful games.” The GAA is a national treasure and an association that should never be polluted by professionalism.